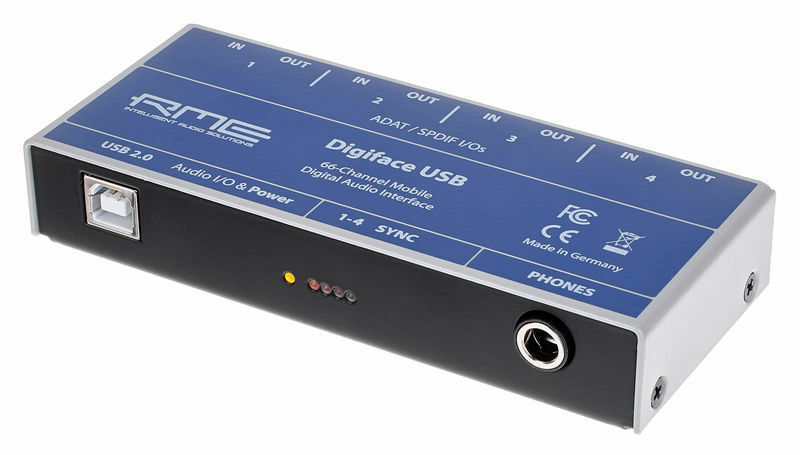 Very compact size,offer 8 optical adat/spidif ports makes me feel exciting when I receive the RME Digiface USB. Its size is not yet a palm.But it offer RME signature function,such as TotalMix?Steady Clock and so on.When I use full 64 inputs and outputs,everything is fine.No fault happens during high-intensity use. Thanks to the TotalMix,you can route your audio wherever you want.It makes the device more useful and flexible. For high fidelity quality use, with an FDA FX-AUDIO D802 amp, the configuration uses SoX Resampler set in 24-bit at 176.4 kHz. The listening quality is higher than that of the FDA amp connected directly to the PC in USB, and configured in 24 bits at 88.2 kHz. The change of the sampling frequency does not explain everything, the intrinsic quality of the DIGIFACE USB comes into play. Installation and configuration without difficulty. ID: 409723 © 1996–2019 Thomann GmbH Thomann loves you, because you rock!